In the annual general meeting of Reliance Industries, Ambani had announced that the scheme will begin from July 21. 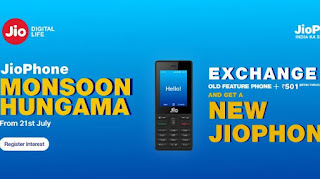 "Jio will start monsoon hungama scheme from 5.01 pm on July 20. 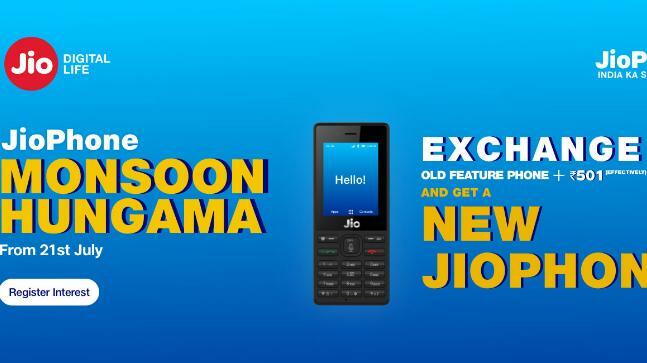 Even the timing has been kept to reflect effective price of the phone,"
Under the present scheme, mobile subscribers using a feature of any brand can exchange it with new JioPhone for an effective price of Rs 501.